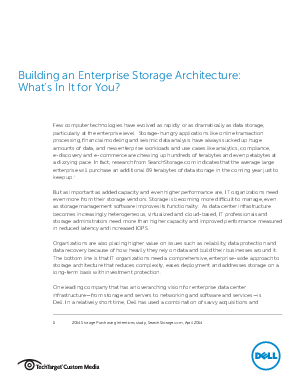 > Dell EMC > Building an Enterprise Storage Architecture: What's In It for You? Storage is becoming more difficult for organizations to manage. Learn how a unifying storage architecture can help.